Hello there! Guess what? I did it, I made it through the contrasting colors week! Woohoo!! I will have to say I really enjoyed it because I did so many things and it was just fun. :) Hope ya'll have enjoyed this weeks manis! :) That all being said lets move to the mani pics! :) Also Happy John Mayer day!! Ok, so thats not really a thing but today is the day he finally releases a new song which I am pretty excited about! As you all read this I probably will of already listened to it many times. Like around midnight...last night. :) Yes I am one of those who stays up late for new music releases. Hehe!!! So today I wanted to do the turquoise and brown combo. However I ended up picking more blues because they were a better fit for a gradation. Which I really wanted to do for some odd reason. Ha! But ummm can we just talk about about this gradation! These two colors worked so nicely. 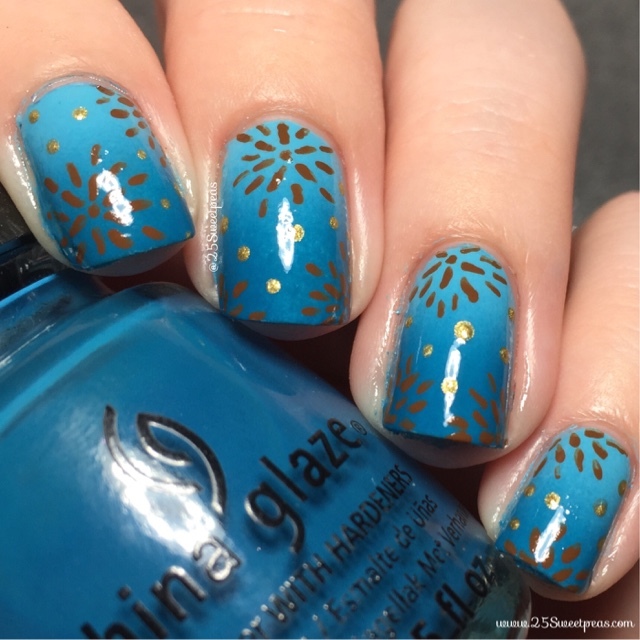 I used 2 China Glazes which I always like CG or matching brands for a gradation in any case. The exact ones I used are UV Mean't to Be and Shower Together. They really worked well together. The names are iffy I know but oh well! I think the first name is cute! The brown and the gold are acrylic paint and free handed. Well thats it for today! 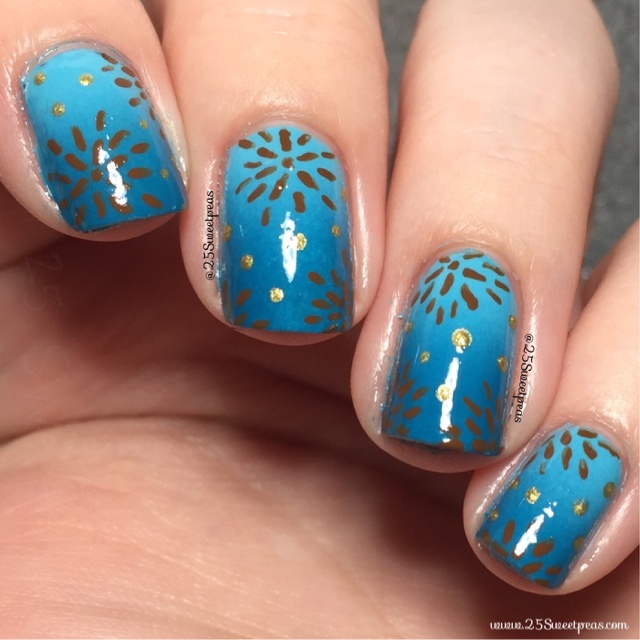 Hope you guys have enjoyed this mani! Also who is ready for the weekend? Any fun plans? The blog has two fun things going on this weekend. Saturday my mani will be with The Nail Crazies, and then Sunday's post is dedicated to Pancreatic Cancer Awareness. ❤ So I am looking forward to it. :) Hope to see ya'll back here for those.